Communities in Nashville, TN area feel safe and content to know that they do not have to worry when they face issues with garage doors, as Trust Garage Door is always ready to service their door issues. Starting from replacement of garage doors to offering on-time services for repairs and maintenance and all garage related issues can be solved in no time. Decades of experience coupled with advanced infrastructure have enabled us to offer unmatched services. Our efficiency is dictated by the hard work of our team and their sense of responsibility that enables us to deliver better services with each call. 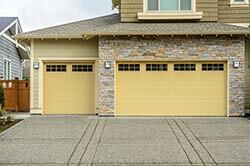 Residential garage doors need timely services, either to keep property or automobiles safe or gain access to home. Garage doors are available in different colors and materials depending on the requirement of the client. Most residential clients want their garage doors to look aesthetic and match with their home exteriors and décor. We at Trust Garage Door offer the best models of garage doors and can cater them as per the requirement. The most common and preferred residential options are steel garage doors. They keep the property safe, are stylish, look sleek and clean and even can be colored based on a specific design scheme. The finest brands and the best quality of materials ensure that our residential clients are always happy. Most times people forget that garage doors are constantly exposed to different weather conditions like rain, wind and moisture. Moisture and rain water keeps seeping through the crevices and gaps spoiling and wearing out the interiors and causing damage to the property too. Our team always suggests weather-stripping for your garage doors especially for residential garage doors. We, at Trust Garage Door, provide weather-stripping that can secure openings and cracks and help protect against changes in temperature, vagaries of nature and noise as well. Our team is amply experienced in replacing old worn-out weather-stripping to ensure that the level of protection you have achieved for your property remains unhindered.